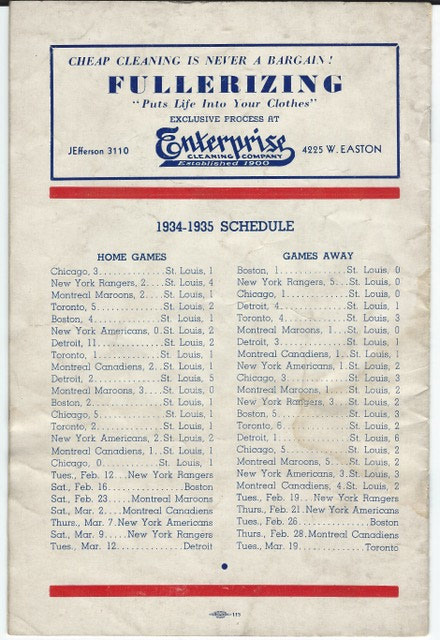 One of only 24 home games played in the entire tenure of the St. Louis Eagles franchise. These programs are very scarce especially all intact with the original insert page and staples. 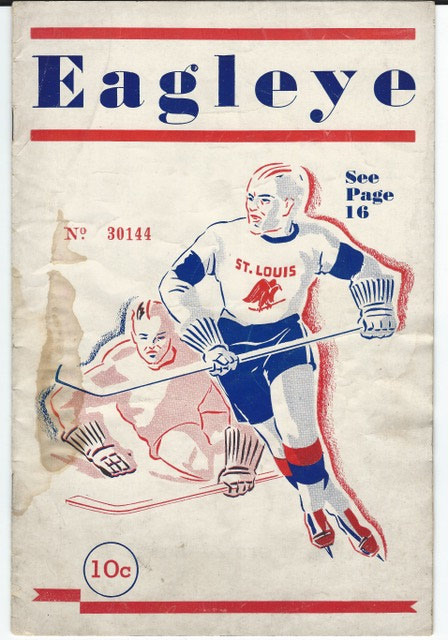 This 20 page program features the New York Rangers visiting the St. Louis Eagles at the Arena on February 12, 1935. In the line up for the Rangers is the Hall of Fame Bread Line of Bun and Bill Cook and Frank Boucher. Earl Siebert is on defence with Dave Kerr in goal. 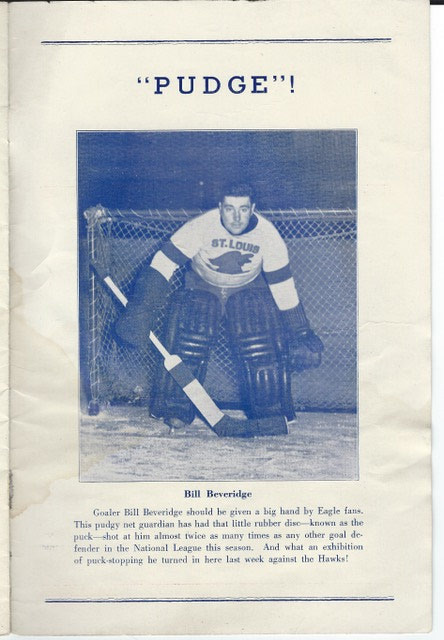 For the Eagles, Bill Beveridge is in Goal with Carl Voss at Center. 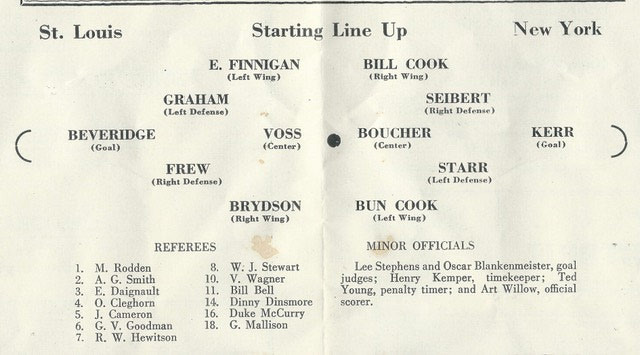 Others in the St. Louis lineup include Frank Finnigan, Ossie Asmundson and Vic Ripley. The program is in very good condition with no tears or pages missing. There is a coffee stain on the front edge which bleeds into the pages lightly.